Many teenagers–and adults–fall for the quack’s promises because they are in a hurry. They want results right away–to look good, feel strong, have an alluring figure, be attractive, have a “healthy” tan. How do you protect yourself? Remember this: If it sounds too good to be true, it probably is. Teenagers–especially girls–are not exempt from the American passion for dieting. Nutrition quacks offer “magical” diets and pills to take pounds off. One ad offers a naturally-grown vitamin that “guarantees far fewer colds, better complexion, shinier hair” — and calls this all a scientific breakthrough. A mail-order company offered a “glandular complex” pill for “instant” weight loss; the pill was nothing but a mix of ground-up animal organs. There’s nothing easier to find these days than diet plans–they are offered by television personalities, magazines, newspapers, and each year’s crop of best-selling diet books. People bounce from a gourmet diet, to a brown-bag diet, to a 30-day countdown, to a nine-day wonder diet, to a 24-hour easy diet. Most of the diets and virtually all of the pills are worthless, says the U.S. Food and Drug Administration (FDA). Some are even dangerous. The FDA for example, has warned consumers that some “herbal” diet pills sold by mail order contain dangerous levels of prescription drugs and should not be used. This is especially true for some types of diet pills imported from other countries. Some pills promoted for weight loss can cause unpleasant side effects such as nervousness, nausea, and insomnia, and can also be addictive. Body wraps to burn off fat are another favorite gimmick of the quacks. But the wraps do not burn or dissolve fat. Rubberized or plastic suits worn during exercise and purported to cause loss of weight through loss of water can actually cause serious dehydration, especially in warm weather. There are no magic foods, pills, wraps, diets, or wands for losing weight. “It is extremely rare,” say Consumers Union medical consultants, “that a short-cut approach to weight reduction brings about permanent weight control.” Teens should not diet excessively. Their growing bodies can’t tolerate the nutrient loss that comes with eating too little. The only safe and effective way to lose weight is to eat less while maintaining a properly balanced diet — and to exercise more. Consult your doctor before you start on a particular weight-loss program. That’s dangerous. Most healthy young people get all the nutrients they need from eating a balanced and varied diet. If you may need a vitamin supplement, your doctor or other health professional will advise it. But taking vitamins in amounts higher than the Recommended Dietary Allowance (RDA) is an invitation to trouble. Megadoses (usually 10 or more times the RDA level) can have serious harmful effects. Prolonged excessive intake of vitamin A can cause headache, increased pressure on the brain, bone pain, and damage to the liver. Too much vitamin D can cause kidney damage. High doses of vitamin E can cause fatigue and other problems. High doses of vitamin C can cause diarrhea. Large doses of niacin can cause severe flushes, liver damage, and skin disorders. Large doses of vitamin [B.sub.6] can damage the nervous system. The National Council Against Health Fraud has a case report of a young man who took megadoses of vitamin A in the mistaken notion it would help his acne. He developed severe brain pressure and was saved from surgery only by the fact that his physician learned in time about the self-administration of the excess vitamin A. Young women want to look alluring–and young men want to be muscular, macho, great, athletes, winners. And men, like women, want it right away. They are easy targets for the quacks who are peddling black market steroids and other “super”-pills. Anabolic steroids have been used by athletes, both male and female, to build muscle. They are also used by young men who just want to look better. But they are drugs that may only be sold by prescription. Their use–particularly in the large doses that some athletes may take–can stunt growth, lead to cancer, damage the liver, cause heart problems and sterility, change your personality, and lead to other complications. Steroids can cause enlarged breasts in boys. For girls, the side effects include developing masculine traits such as facial hair, baldness, and a deep voice. These may be irreversible. Then there’s the urge to get a quick “healthy” tan. Can you get one at a tanning salon? Tanning salons promise a safe tan without a burn, but is there such a thing as a safe tan? Most experts don’t think so. Tanning salons, they say, offer no health advantage, but do have health hazards. Tanning booths use high-intensity light sources that send out ultraviolet A (UVA) radiation. This is supposed to be less dangerous than the shorter-wavelength ultraviolet B (UVB) radiation. But UVA is far from safe, say the skin doctors. It penetrates into the skin more deeply, causing premature aging. It may damage blood vessels. It also sensitizes the skin so that sunlight will be more likely to cause skin cancers–including the most serious form, malignant melanoma. Fair-skinned people are at the greatest risk for skin damage. UVA rays affect the eyes by increasing the risks of cataracts and retinal damage. Protective goggles should be worn, but many who use the salons worry about a so-called “panda” effect (white circles around the eyes where the skin doesn’t tan), so they don’t use them all the time. Tanning pills are not safe either. Advertisements claim the pills produce a rich, golden-bronze, natural-looking tan that makes one look healthy, energetic, and attractive all year. But the pills actually produce a distinct orange tinge on the skin. Also, says the FDA, the pills may leave fatty deposits in the blood, liver, and skin, and on the eye’s retina, where they may interfere with night vision. Cosmetics ads can be misleading. The ads urge you to buy moisturizers to nourish your skin, slow the aging process, or reduce wrinkles. Can they? No, say the experts at the University of California’s School of Public Health. All they can do is help prevent dry skin. Despite advertising claims, these creams and lotions can’t penetrate or feed the deeper layers of the skin. And collagen creams are no better than other creams; you can’t absorb this proten through your skin. Dermatologists say that rubbing on any food substance, nutrient, or other biochemical such as protein or vitamins offers nothing more than a temporary “feel good” benefit. There is no evidence that consuming protein boosters or taking vitamin and mineral supplements will improve your nails or hair. In the absence of an actual vitamin deficiency, there’s no proof that taking extra vitamins is beneficial to the skin. Some cosmetic creams contain the hormone estrogen, which can penetrate the skin to produce feminizing effects. The FDA says that while the levels of hormones used in cosmetics sold over the counter are inadequate to make skin younger looking, as is sometimes claimed, the amounts can be enough to produce unwanted side effects. Hair removal claims are often questionable. The only effective way to remove unwanted hair permanently is with electrolysis–a process by which hair roots are destroyed with an electrified needle. Electrolysis should be performed only by a physician or professional electrologist, according to the American Medical Association. Effective means of temporarily removing hair include shaving, tweezing, waxing, and using cream or lotion depilatories. But the FDA cautions that there is no risk-free method of removing hair. Waxing, for example, can be painful, and creams can cause rashes and swelling. We all believe that it is only the other guy who is taken in by health frauds. But quacks are clever and you have to be on your guard. It is ignorance and lack of knowledge of health matters that allow health fraud and quackery to thrive. Educate yourself in health matters. The more you know about good health principles and good nutrition, the less likely you are to fall for health frauds. Don’t accept health and medical claims for products or therapies at face value. Check with your doctor, pharmacist, or other health professional. It is human nature to believe that ads in print and on the air are essentially accurate because, if their claims were not true, we tell ourselves, they couldn’t say it. The fact is, misleading claims about health and nutrition are difficult to regulate. Federal and state agencies are limited in what they can do about fraudulent practices because they may not violate constitutional rights of free speech and a free press. The freedom to give information, whether supported scientifically or not, is guaranteed the same protection under the First Amendment as any other information. The Federal Drug Administration is one of the main federal agencies on the lookout for health frauds. The FDA has jurisdiction over product labels; it’s against the law to make a false claim on a label, or to market a product without adequate directions for use, or to market a drug product or medical device without FDA approval. But there’s no law against making false or exaggerated claims on a talk show or in a book. 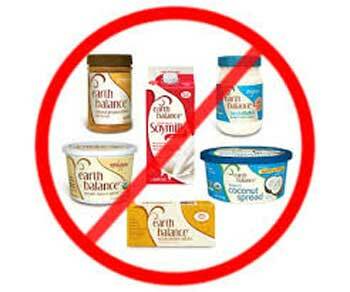 Hundreds of “health” books–especially on diets–contain therapeutic claims that would be illegal on product labels. Be particularly careful in making purchases of health and medical products through the mail. This is a growing and largely unregulated area in which health fraud flourishes. An ongoing survey by Dr. Stephen Barrett, author of numerous books on health quackery, found mail-order health ads in virtually every popular magazine on the newsstands. Of 500 magazines, more than 100 ran health ads that could not possibly deliver on their claims, according to Dr. Barrett. There were diet ads, and ads for sauna belts, wrinkle removers, bust-developers, and waistline reducers, among countless others. As harmless as any ad may seem to be, it is only taking up space in a particular magazine because the advertiser wants to make money. Yet the costliest price a person pays for quack products, experts say, is time. By buying a “miracle,” you may be delaying necessary treatment for a real problem. The control of your health is in your hands, not someone else’s pocketbook. ← Risks: Can You Handle Them? I would say one of the most insane areas that really needs to be regulated has got to be the vitamin and minerals area. Some of the claims these people lay out are absolutely astounding, and yet the FDA does nothing. Something needs to change here.